Today we are publishing the translation of a poem written on the occasion of Sri Aurobindo’s marriage with Mrinalini Devi on 30 April 1901. In those days, the relatives of the bride used to write a poem and distribute it among the invited guests to commemorate the wedding ceremony. The original poem titled Mrinale Aurobindo was written by Nirodemohini Devi, a relative of Mrinalini Devi. The translation is quoted from the book Smriti-Tirtha written by Anshu Banerjee. Queen Nature is smiling beside herself. What a beautiful night it is. What an auspicious moment is today. Tied them in an eternal knot. Should never ever forget Thee. It will be nice if you put the original Bengali in roman script. Beautiful poem! This is such a lovely way to commemorate a wedding. Following the advice of respected R. Y. Deshpande, I am quoting the original poem in Bengali in Roman script so that those who know Bengali can read it. Rokkha koro deb, a duti jibon. Tomare jeno go na bhule kokhon. It is such a beautiful poem. It is as if God is preparing for marriage with the Prakriti, the Nature, the whole environment is under such a wonderous spell. 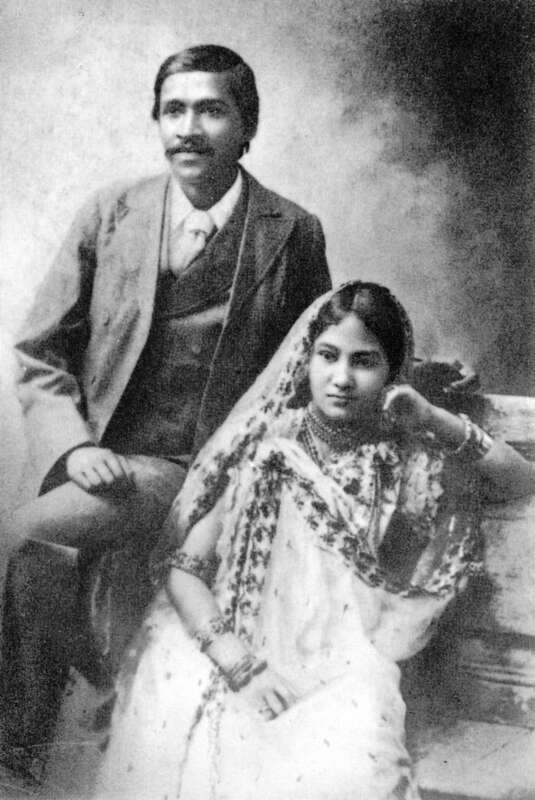 Immediately after marriage, Aurobindo and Mrinalini went for their honeymoon to Nainital. I’m curious to know how they did reach the place in 1901. Was the metalled road ready by then or they took horses? What a sweet sweet poem! what a lovely person who wrote this beautiful verse! thank you, dear anurag, for sending it to me. i will look forward to reading this poem again and again. Since you started put thid cotact to us I am very thankful to you pl. keep it up. May the Divine touch us through you May God Bless you. Thank you for your encouragement and best wishes. in the 6th line of the 5th para, I think it should be ‘Dohake’ instead of ‘Dohabe’. Thank you for pointing out the mistake. The actual word is ‘Dohare’. I have rectified the typing error. Reblogged this on Sri Aurobindian Ontology. Dear Sri Anurag,thanks for such a rare and wonderful info.,u r providing on Mother n Master from time to time,which we wouldn,t have seen elsewhere.Thanks once againg…Prof.APRao. Thank you for your appreciation. I feel deeply motivated. Kindly give the original in Bengali script. I have been looking from several days the original in Bengali of ‘ Sagarer Sangit by C.R. Das. i have read several times the translation of Sri Aurobindo in Songs of the Sea. You are doing a wonderful job. Thanks for posting this simple yet touching poem. The happiness in nature and the blessing prayed for for the couple seems to uplift our hearts as well. Can u mail a copy of telugu version to me.